This reading group guide for The Winter Sister includes an introduction, discussion questions, ideas for enhancing your book club, and a Q&A with author Megan Collins. The suggested questions are intended to help your reading group find new and interesting angles and topics for your discussion. We hope that these ideas will enrich your conversation and increase your enjoyment of the book. Sixteen years ago, Sylvie’s sister, Persephone, never came home. Out too late with the boyfriend she was forbidden to see, Persephone was missing for three days before her body was found—and years later, her murder remains unsolved. In the present day, Sylvie returns home to care for her estranged mother, Annie, who is undergoing treatment for cancer. Prone to unexplained “Dark Days” even before Persephone’s death, Annie let her once-close bond with Sylvie dissolve in the weeks after their loss, making for an uncomfortable reunion all these years later. Worse, Persephone’s former boyfriend, Ben, is now a nurse at the cancer center where Annie is being treated. Sylvie’s always believed Ben was responsible for the murder—but she carries her own guilt about that night, guilt that traps her in the past while the world goes on around her. As she navigates the complicated relationship with her mother, Sylvie begins to uncover the secrets that fill their house—and what happened the night Persephone died. As it turns out, the truth really will set you free, once you can begin to look at it. 1. 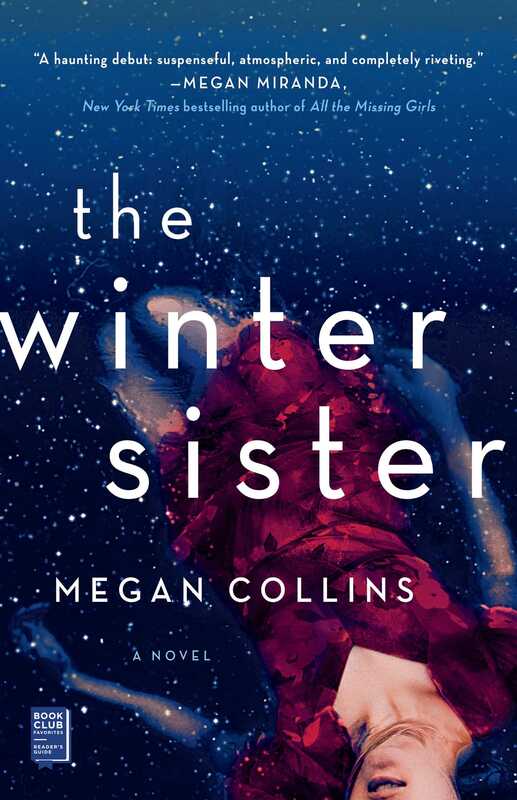 The title of Megan Collins’s debut novel is The Winter Sister. Which sister do you think the title refers to—Sylvie or Persephone? Why do you think Collins chooses to leave this interpretation open to the reader? 2. Even though Lauren is Sylvie’s best friend, Sylvie reveals that she has lied about the truth of Persephone’s death for the majority of their relationship. How would you feel if you found out that an important person in your life had lied about something like this? Would you try to understand? Feel betrayed? How do you think your relationship with that person would change after the fact? 3. Although Sylvie never forgets about Persephone, she doesn’t actively reinvestigate her sister’s case until after she returns to Spring Hill. Why do you think her homecoming sparks a renewed dedication in solving Persephone’s cold case? Is it returning to Spring Hill itself? Seeing her mother in a weakened state? Make a list of Sylvie’s possible motivations, and share them with your fellow book club members to compare. 4. The majority of the novel takes place sixteen years after Persephone’s death, but the loss still feels fresh for many characters in the novel. Consider the following passage: “I didn’t know that stars don’t last forever. I had no idea that the light we see is just an echo of an old burn, or that, most of the time, it’s the absence of a glow, instead of the glow itself, that goes on and on and on” (p. 45). How is this a metaphor for Persephone? How does her absence continue to affect the lives of Sylvie, Annie, Jill, and Ben? How might things have been different for them had she survived? Do you think that the effects of a loss like this can ever dissipate? 5. Even though she’s been convinced her entire life that Ben was the one who killed Persephone, Sylvie finally decides to hear what he has to say at the end of chapter 11. Why do you think she makes the decision to trust him? How do you think the novel would have progressed if Sylvie had chosen differently? 6. Annie always warned Sylvie about Tommy Dent, so Sylvie is shocked when she learns that her mother and Tommy spent time together after Persephone’s death. Consider Annie’s perspective in this situation. Do you think there was more to her relationship with Tommy than just the pills? Why or why not? Does Annie deserve any sympathy for her “deal” with Tom? 7. “We O’Leary women—we keep our promises to our sisters” (p. 162). In chapter 17, Annie reveals that Jill knew she had a drug problem after Persephone’s death but promised to keep it secret. This echoes a quote from chapter 1: “We’re sisters, Sylvie, Persephone would always say. And that’s sacred. So I know your promise to keep this a secret isn’t just words. It means something to you” (pp. 14–15). Discuss the parallels between Jill and Annie’s relationship and that of Sylvie and Persephone. What role do secrets play in these relationships? How did Jill’s and Sylvie’s choices to keep their sisters’ secrets affect their lives? When is it better to tell a secret than to keep one? Discuss as a group. 8. Sylvie and Annie both had a deep desire to protect Persephone, even though it came at a cost to her. Sylvie locked the window “because I’d loved her, deeply, and I’d wanted to save her from herself” (p. 251), while Annie was “rescuing Persephone from a life in the Underworld” (p. 156). Examine the theme of protecting loved ones throughout the novel. Do you think either Sylvie or Annie actually had the power to protect Persephone? What about Ben? Is it ever really possible to protect someone? 9. Ben eventually reveals to Sylvie the real reason behind Persephone’s bruises. Were you surprised by his explanation? If you were Sylvie, would you forgive him for what he did? Why or why not? 10. Annie keeps perhaps the biggest secret of all in The Winter Sister. Why do you think she ultimately chose not to tell Persephone her father’s identity? Do you think Annie was genuinely naïve about Persephone and Ben’s relationship? Afraid about what might happen were she to tell the truth? Both? Share your thoughts with your book club. 11. Persephone and Annie’s relationship is a tumultuous one at best, but as Annie puts it, “I couldn’t get too close to her just to lose her someday” (p. 271). Did you ever have a “tough love” relationship with anyone as a child? How did it affect your relationship with that person as an adult? What’s your perspective on this relationship now? 12. There are several characters in the novel that could have viably murdered Persephone. Were you surprised when you finally found out the killer’s identity? Why or why not? Share some of the theories you had while reading and explain how those theories might have changed throughout the course of the novel. 13. Ben and Sylvie develop a semiromantic relationship while they work together to find out what happened to Persephone. If you were to revisit them a year from now, do you think they would be together? Why or why not? 14. Tattoos are a recurring motif throughout The Winter Sister. Sylvie paints them on Persephone as a child to hide her bruises and later becomes a tattoo artist as an adult. At the end of the book, Sylvie decides to give up the career, musing, “I no longer needed to watch a needle sink pigment into flesh, no longer needed to punish myself by reenacting what I’d done to Persephone, always seeing her arm instead of the client’s” (p. 311). How was tattooing a punishment for Sylvie, and how does giving it up signify her healing? 15. Paint is another motif that plays an important role in the novel. As Sylvie says of the medium: “Paint is stubborn. It clings instead of chips, and even after more than a decade, it has to be scraped and scraped and scraped” (p. 177). How is this a metaphor for her grief over Persephone? Why do you think she chooses to paint over the constellation on her mother’s living room wall at the end of the novel, rather than try to scrape it off? What is the significance of Sylvie and Annie doing this together? 1. Find an anthology of Greek myths and as a group, acquaint yourselves with the story of Persephone, Hades, and Demeter. Discuss the connections between this myth and The Winter Sister. Make sure to bring some traditional Greek food—stuffed grape leaves, spanakopita, and baklava—to share with your fellow book club members! 2. Sylvie painted unique tattoos onto Persephone’s body to hide her bruises and continued to tattoo as an adult. Now it’s your turn! Put all of the book club members’ names into a hat and take turns picking. Then, draw a unique “tattoo” for the book club member you selected. Share your drawings with the group and discuss your design. Why did you choose this particular “tattoo” for the book club member you selected? Does it say something about their personality? Is it something significant or meaningful to them, or something completely random? Discuss the stories tattoos can tell and consider the role that a tattoo artist plays in helping someone to visibly share their story with the world. 3. Annie reads Emily Brontë’s Wuthering Heights throughout the course of the novel, but at The Winter Sister’s end, she declares that she never wants to read the story ever again. Sylvie tries to recall the plot: “Two lovers, from vastly different circumstances, spend much of their lives with other people, their obsessive love for each other still raging around inside them, turning one ill, the other withered and bitter” (pp. 322–323). Read Wuthering Heights for your next book club pick and compare and contrast Catherine and Heathcliff’s relationship with Annie and Will’s. How are they similar? Different? Discuss other famous “doomed relationships” in literary works—Romeo and Juliet from Romeo and Juliet, Gatsby and Daisy from The Great Gatsby, Vronsky and Anna from Anna Karenina. Why do you think stories of doomed romances continue to draw readers? Do you think they can affect perceptions of what romance in real life should look like? 4. Sylvie has been involved with art for her entire adult life, starting at the age of four when she painted a “constellation” of Persephone on her mother’s living room wall. Look at works of famous artists who also started painting as children—Pablo Picasso, Salvador Dalí, Georgia O’Keeffe, and Michelangelo are all good examples. Compare how their works evolved from childhood to adulthood. Is there anything similar between their early and late works? How do you think getting involved in art from an early age affects adult life? Is it ever too late to start a creative path? In honor of Sylvie and getting in touch with your inner child (and creative artist! ), attend a local wine and paint night as a group. The person with the best painting gets to choose next month’s book! 5. Stay updated on Megan Collins’s latest projects! 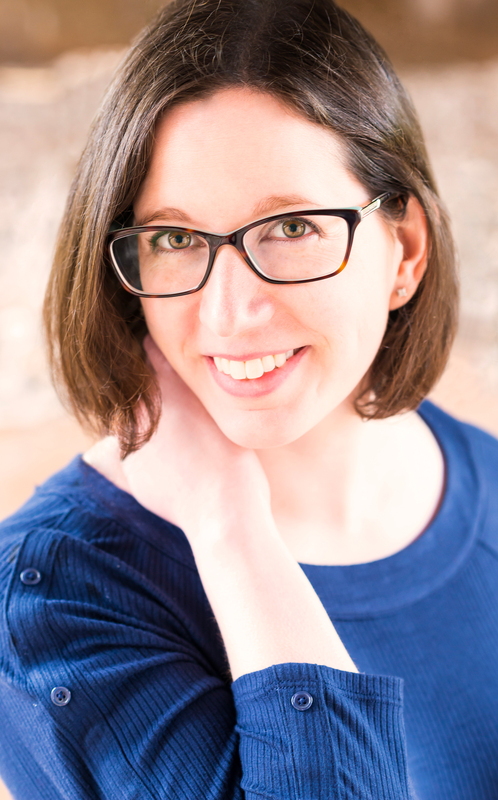 Follow Megan on her website, https://megancollins.com, to read some of her other published works and to hear about what she’s working on next. This is your debut novel—congratulations! What was the journey to getting your first novel published like? What was the most challenging part of the process? The most rewarding? It’s surely a cliché, but my journey has been one long, emotional, exhilarating roller coaster, with more highs and lows than I ever expected. The Winter Sister is my first published novel, but it’s actually the third that I’ve written. While I did not receive a book deal on either of my two other novels, I learned so much from each one about pacing, character development, voice, etc. It was extremely difficult having to move on from those projects and accept that it wasn’t the right time for either of them, but now that I do have a debut novel, it’s been incredible to start hearing from people who connect with my characters and the story I created. Something that was once just words on a computer screen is now a tangible story that readers can hold in their hands and see play out in their minds—and that is an incredible gift for which I’m grateful every day. You’ve written short stories, reviews, and poems before; in fact, one of your poems, “Ars Poetica” (published in the New Verse News in 2016), was nominated for a Pushcart Prize! How is writing poetry different from writing a novel? When you started writing The Winter Sister, did you have to change your creative process? While poetry requires an attention to rhythm and form in a way that fiction usually doesn’t, I think the two processes are more linked than a lot of people realize. No matter what your poem is about, your job as the poet is to tell a story, and that demands an understanding of voice and pacing. Similarly, a book could have the most compelling premise in the world, but if the sentences don’t sing, if the phrasing doesn’t feel well-chosen and precise, then a reader might not be entranced enough to continue. To me, poetry and fiction are both about casting spells with language in order to tell a powerful and memorable story. In writing The Winter Sister, I paid attention to how the cadence of my sentences could highlight and heighten the characters’ emotions—and my inclination to do so came entirely from my training in poetry. The Winter Sister starts with a terrible crime—the murder of a teenage girl. Did any real-life cases inspire your work? If so, what kind of research did you do in order to bring Persephone’s story to life on the page? And if not, what first gave you the idea for The Winter Sister? Persephone’s story isn’t inspired by a particular case in real life, but I am fairly obsessed with true crime (shout-out to the My Favorite Murder podcast!). Where Persephone’s story really originated for me was in thinking about the Greek myth of Persephone, in which Demeter, Persephone’s mother, becomes so consumed by grief when Persephone goes missing that she neglects her job of making crops grow on earth. I wondered what would have happened if Persephone had had a sister, left to navigate the rest of her childhood in the wake of her mother’s neglect, as well as her own grief over her sister’s absence. Your debut novel tackles many themes, but one of the main topics is the complicated nature of relationships between women: mothers and daughters, aunts and nieces, sisters and friends. What drew you to this theme? Are any of the relationships in the novel inspired by some of your own? The bonds between mothers and daughters, as well as those between sisters, are so inherently rich and nuanced that it leaves a lot to explore. What I’m most interested in is relationships at crossroads, like Sylvie and Annie’s. They’ve spent years being estranged, and now they have the opportunity to begin to understand each other—as long as they can break old patterns. It’s the breaking of patterns, though, that’s so difficult to do, especially when there are years of hurt and tension involved. I wanted to explore how hurt and love can be intermingled, sometimes even inseparable, and how that often keeps us from letting go of a painful relationship for one that is healthier. Annie named Persephone after a goddess she learned about in a Classics course when she got pregnant—but of course, Persephone is a name loaded with significance within the context of the novel. Could you tell us why you chose to give her the name you did? Do any of the other characters’ names have meaningful—but perhaps less obvious—significance? I named Persephone to anchor The Winter Sister within its mythological context. If you know the myth, it’s difficult to read about a character named Persephone without automatically thinking of all the themes of that ancient story—grief, loss of innocence, maternal and filial bonds, etc. As for the other characters, they seemed to decide for themselves what they wanted to be called! I don’t remember selecting anyone else’s name. Sylvie was always Sylvie, Annie was always Annie, Ben was always Ben. I often find, when writing fiction, that my characters tell me what their names are, rather than the other way around. Wuthering Heights is another famous story that makes its way into The Winter Sister. As an author, how do you draw parallels between your own work and those of other writers? Do you draw these connections on purpose, or are they more organic, popping up during the writing process and their meaning revealed after the fact? In the case of Wuthering Heights, the connection there was serendipitous. It wasn’t until I’d written the first scene in which that book appears that I realized it wasn’t just a random choice; there were several parallels between that story and the one I was writing. It’s amazing to me what our brains can do on a subconscious level—especially when we think we’re only focused on writing smooth and engaging sentences! The Winter Sister’s connections to the Persephone myth were much more purposeful, of course. One way in which I tried to build those parallels was by using a lot of plant imagery when describing Annie, in order to cement her correlation to Demeter. There’s also a scene in which Persephone pricks her finger on the thorn of a white rose and rubs her blood across the petals. In the myth of Persephone, she’s often depicted as picking flowers at the moment Hades abducts her, so I wanted to have a similar image in my book that spoke to innocence versus experience, delicacy versus violence. Although the reader doesn’t know what Sylvie’s next career path is, she eventually realizes that being a tattoo artist isn’t her true calling. Did you always want to be a writer? Did you test out other careers before you found your own calling? I’ve known I wanted to be a writer since I was six years old, when I wrote my first story called “The Bad Cats.” (As indicated by the title, it was about some bad cats!) I still remember the exhilaration I felt holding the story in my hands, knowing that it only existed because I’d thought of it and written it down. As I grew older, I never wavered in my certainty that writing was my calling; I knew there was nothing else that could make me feel as alive, even in the many moments of frustration that inevitably come with the territory. Both my undergraduate and graduate degrees are in creative writing, and I’ve been teaching it for the past eleven years—because when I’m not writing myself, I want to be talking about it, reading about it, and helping other people do it! Did any significant portions of the plot change from when you first started writing the novel to when you finished it? If so, could you explain how they evolved? When I first conceived of this story, I had planned to have Persephone die from an accidental overdose while doing drugs with Ben. However, I quickly found that there weren’t very many places for that story to go. Sure, Sylvie would still have to cope with the loss of her sister, as well as the debilitating weight of hating and blaming Persephone’s boyfriend for so many years of her life, but there wasn’t much room for mystery or suspense. When I thought about Persephone being murdered instead, everything changed, and all the pieces of the plot started falling into place. What’s a piece of advice you’d like to give aspiring writers? Is there anything you wish you knew about writing when you first started out? Never give up. It sounds so simple, but it’s one of the hardest things to do. All writers—all artists, even—face painful rejections, and it’s easy to let those disappointments derail you. But there is someone out there who needs your story, your poem, your essay, your play, and if you keep on honing your craft, keep on pushing toward your goal, no matter how many agents or editors or literary journals say no—chances are, you will eventually get to that beautiful, dreamed-about yes. When you’re not writing, you’re teaching creative writing. How has being a creative writing teacher helped you with your own writing? What’s been one of the most surprising or valuable lessons you’ve learned? One of the things I love most about teaching is that I get to continue to be a student. Whether we’re workshopping someone’s poem or discussing a published story, the atmosphere is usually one of artists collaborating together, rather than the traditional teacher-student hierarchy. This means that I get to learn from my students’ ideas as much as they learn from mine. For more than a decade, I’ve had the incredible honor of teaching some very talented young writers, and watching them take risks and push themselves has continually inspired me to do the same. I’ve also learned that there’s no predicting when a breakthrough will come; you just have to approach the blank page with a willingness to struggle for what you want to say—and keep fighting for it until the moment you finally find the words. What’s next in the cards for you? Are you working on any new projects right now? If so, could you tell us a little bit about them? I’m currently at work on another novel, which, like The Winter Sister, is about a woman with a haunting past and complicated familial relationships. The protagonist of that story, however, has a journey that’s completely different from Sylvie’s—but that’s all I’ll say about it for now!